Giving students skills and strategies to use when they are engaging in a productive struggle is so important. I've noticed that the time when students seem to struggle the most is during independent writing time. 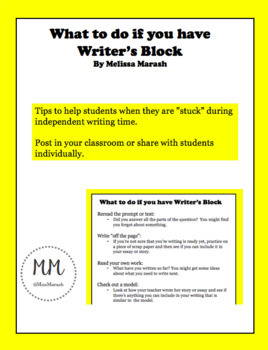 Use these Tips to help students when they are ”stuck” while they are writing. Post in your classroom or share with students individually.